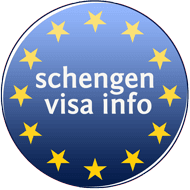 Visa Information System (VIS) – Such supporting system of the Schengen Area’s security, serves as an instrument to exchange data for short-stay visa applications between member countries. Schengen Information System (SIS) – This is another supporting system for the Schengen Area safety serves as a tool to exchange data between member states regarding suspected criminals, individuals who might not have the right to enter and reside in the Schengen Zone, stolen, misappropriated or lost assets, as well as missing people. European Dactyloscopy (EURODAC) – Is another supporting mechanism to ensure the security of the zone and European Union. EURODAC is a fingerprint database which is used to identify asylum seekers and illegal border-crossers, by comparing fingerprints datasets. All the aforementioned security mechanisms of Schengen Area and EU are managed by “eu-LISA”, an EU Agency for large-scale systems. VIS’s main role is to share visa information between member countries, as well as to attach data of embassies and consulates of non-EU and countries with that of external borders of the Schengen Area. VIS generates analyzed and processed data, especially about the identity and purpose of travel, through a biometric matching – mostly of fingerprints, of the Schengen short-stay and airport transit visa applicants. VIS is a system helping in the issuance process of short-stay and transit visas. It also functions as an instrument of the police and border guards to quickly verify, using biometric data, the legality of a visa holder and to find irregular individuals staying in the Schengen Area with false documents or no documents at all. VIS is used as an instrument to combat lawless activities of individuals, such visa shopping and so on. Using VIS the border guards easily identifies cases of individuals trying to travel across the Schengen Area using another individual’s identity. Through VIS it is easier to find the appropriate EU country responsible for considering a specific asylum application. VIS also assists to the national police as an instrument to prevent, identify and investigate terrorist and other forms of serious crimes. The VIS’s functioning system is based on the data recorded in a central database. Such data includes 10 fingerprints scan and a digital photograph of the visa applicant which are gathered in one place, together with the data provided in the visa application form. In case there is a mismatch between the visa holder’s finger scans and those held in the VIS database, other checks as regards of the identity of the traveler can take place. Schengen Information System (SIS) functions as a basis for cooperation in law enforcement and protection of the external borders of the area, by providing alert information for police, migration, justice and other authorities regarding missing people, criminal entities associated with crimes, as well as about forbidden people to enter and stay in the Schengen Area. Each individual possesses the right to access his/her personal data in the SIS and require deletion or correction of incorrect data. One can require such access based on the information provided in THIS guideline of the European Data Protection Supervisor. As an EU citizen, one gets the chance to inquire access at the relevant authority for issuing alert or at the data protection authority. While, as a non-EU citizen one can require such access to the consulate of any EU country in his/her country of residence. Checks that SIS performs mainly orient towards non-EU citizens while less to EU residents. Using SIS, border guards, visa issuing, migration authorities and other authorities are empowered to quickly get alert information about non-EU nationals who are banned from entering the Schengen Zone and the EU. By SIS, the police and judicial system enjoy a better collaboration, allowing the relevant authorities to include and relate to alerts regarding missing people, people, or entities related to crimes. Alternative advantage the Schengen Area enjoys from SIS, is the information it offers regarding the legal status of the vehicles flowing over the Schengen zone and the EU. Such data is especially useful by vehicle registration services – enjoying the needed access to the SIS alerts about vehicles, registration certificates and number plates. European Dactyloscopy or EURODAC’s role is to inspect the asylum application process and cross-borderers within the EU zone, by using and comparing datasets of fingerprints, aiming to support legal travel, the fight against serious crime and terrorism as well as irregular border-crossing over Schengen and the EU. The applicant’s fingerprints through EURODAC are communicated immediately, each time he/she applies for asylum everywhere in the EU. This system, however, does not examine asylum applicants or cross borders over the age of 14. It serves as a tool to fasten the process of data communication, as it speeds up the time between sending and receiving the fingerprints to the Central Unit of the EURODAC and authorities. It offers information that is in complete conformity with the newest asylum legislation. Despite that the EURODAC’s main activity is focused on providing data for asylum seekers, it also serves as a tool to compare fingerprints by the police authority in order to fight serious crimes and terrorism. Additionally, the EURODAC is used, rarely, as a tool to compare fingerprints against VIS (Visa Information System).